ANNE DUHAIME - Anne has always been an animal activist. She became vegetarian at the age of 4 when she discovered meat was made from animals! 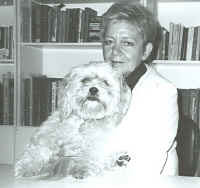 She started Tri Boro Animal Welfare in 1987. She was elected for town council in 1990 and became the first woman Mayor of her home town in NJ. She built a shelter during her time in office which serves six area towns. She served on the State's Animal Companion Committee for five years. She has been a hospice volunteer for Care Alternative for ten years. She was born in England, and her Dad was a Vicar (minister) in the Church of England (Anglican). She married her husband Richard (a G.I.) in 1961 and came to America in 1963. She has 5 children and ten grandchildren. DEACON JOE DWYER - Joe is trained in martial arts and possesses a 3rd degree black belt in Karate. Along with this training and his diverse life experiences, Joe believes in journeying with the people he speaks with by using an engaging style that people thrive in. In December 2012 Joe opened his own dojo. Noble Strength Dojo is located in Nutley, New Jersey. 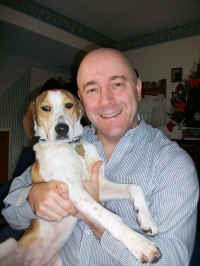 A certified dog trainer, Joe has always had a passion for animal rights. He has rescued all of his dogs. Most recently, he trained one of the rescued dogs, Shelby, to be a certified therapy dog. In November of 2011, Daniel “the miracle Beagle” came to live with Joe and his family. Daniel has already had a positive impact. Through his story of survival from the gas chamber, Daniel has inspired adoptions and has brought an awareness to the need to pass a law to ban the use of gas chambers. He is also an author and motivational speaker. 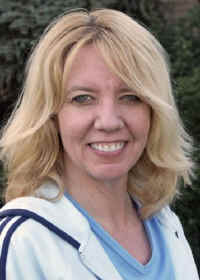 JAN FREDERICKS, MA, LPC - Jan founded God's Creatures Ministry in 2001 while living in Pennsylvania. She was Chairman of Catholic Concern for Animals-USA for their first 5 years as a USA branch. She has an MA in Christian Education and is a Licensed Professional Counselor. She composed the presentation "God Knows...Animals Matter" and she enjoys the outdoors, music (esp. Gospel), and reading. 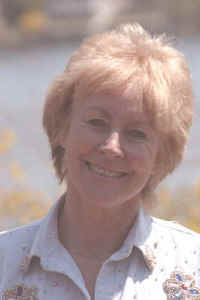 She produced and directed CHRISTIAN CONCERN FOR ALL GOD'S CREATURES, a 36 minute video based on GCM's 2006 conference. REV. 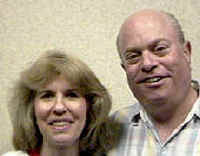 FRANK L. and MARY T. HOFFMAN - Frank and Mary are retired, and now volunteer full-time to manage The Mary T. and Frank L. Hoffman Family Foundation and host the www.all-creatures.org web site, which also hosts the God's Creatures Ministry web site. 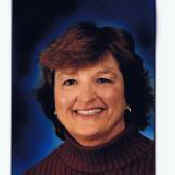 JANET PISZAR has been a supporter of G.C.M. since its inception in New Jersey. She has been an avid animal lover since infancy/childhood. Over the years, she and her family provided homes for cats, dogs, hamsters, gerbils, mice, guinea pigs, rabbits and various injured domestic and wildlife. She founded the Animal Club at the age of seven that she operated out of the garage spreading the message "ALWAYS be kind to animals, they are our friends". She's been involved to stop the harp seal hunt with the International Fund for Animal Welfare working with the faculty and staff at her University collecting names for a petition for IFAW. Janet is a long time vegan and works for farm animal concerns. She has also been very involved with the protection of NJ wildlife. She founded PUBLIC TRUST Wildlife Management in 2011 and is also under the umbrella of The Coalition For Animals along with God's Creatures Ministry and local rescue groups. A goal of PUBLIC TRUST Wildlife Management is to prove and expose, through government documents, that the management of game animals is for shoot-able surplus. And, that this is in direct violation to the Public Trust Doctrine that the publicly owned wildlife resource must be managed for the public's benefit...not for the hunters' benefit. 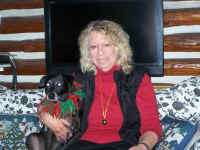 Janet is thrilled to serve God's Creatures Ministry's mission to spread God's compassion for all creatures. MARY SEPEDE, RN, MSN - Mary Sepede is a pediatric nurse who received her MSN from Seton Hall University. Mary has loved animals all her life and has been a vegetarian for over 30 years. She has been a long time volunteer with FOWA Rescue--serving as a board member, cage cleaner, adoption counselor, foster parent for cats and kittens, fundraiser and director of the cat socialization and humane education programs. She has also participated in numerous demonstrations over the years to protest the abuse and killing of animals. She is the lucky parent of a rescued dog, Serena, who was adopted from Puerto Rico, having survived Dead Dog Beach. Serena is her constant companion and best friend. 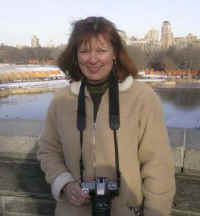 Mary enjoys spending time with her friends and family, birding and ecotourism. Her goal is to see as many distant and wild places as possible. JEANNE SYLVESTER - Jeanne has been a vegetarian and animal rights activist for 20 years. Enjoys walking dogs at a local animal shelter, playing the clarinet and the outdoors. She's a librarian. God's Creatures Ministry (GCM) had it's first meeting in NJ on Super Bowl Sunday, 2003. Jeanne, Mary, Laurie, Jan and Anne attended. We hope that churches and similar communities will have similar animal ministries or GCM chapters. Brochures are available upon request.